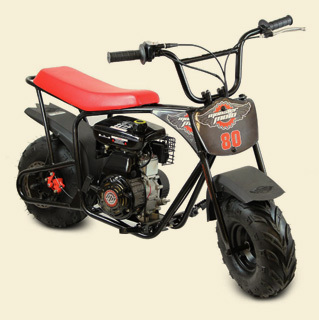 Make this weekend epic with our affordable and popular minibike, the Monster Moto MM-B80. 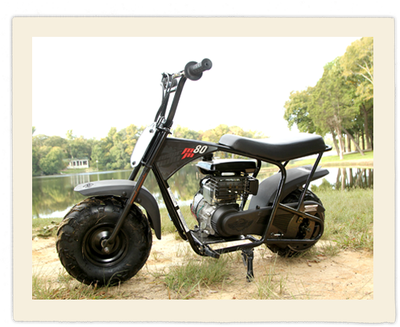 This is the "old school" mini bikes like the ones we used to ride in the good old days, only safer and easier to ride. 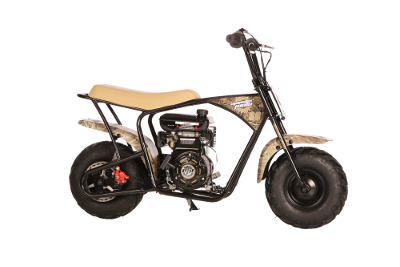 It’s powered by a 79.5cc overhead-valve engine, and a centrifugal clutch ensures easy operation. 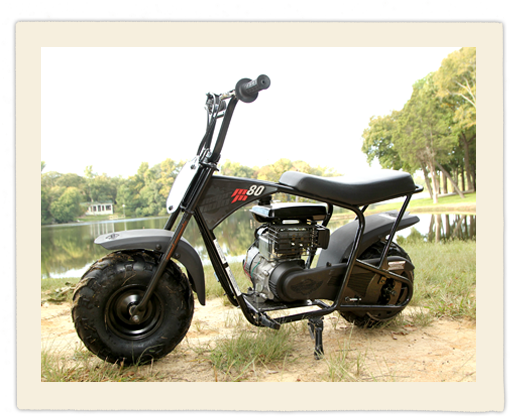 Just twist the throttle and go! 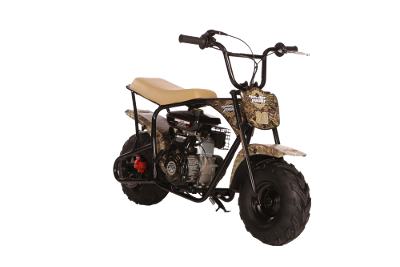 Its sturdy frame is ready for young riders of all abilities. 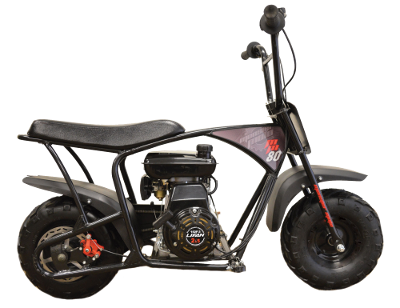 The MMB80’s rear disc brake delivers quick stopping power. 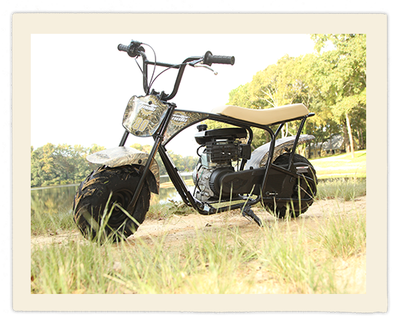 Our prices include free assembly, prepping, cranking, adjusting, and fine tuning. If you need it shipped to you, it comes pre-assembled from the manufacturer. 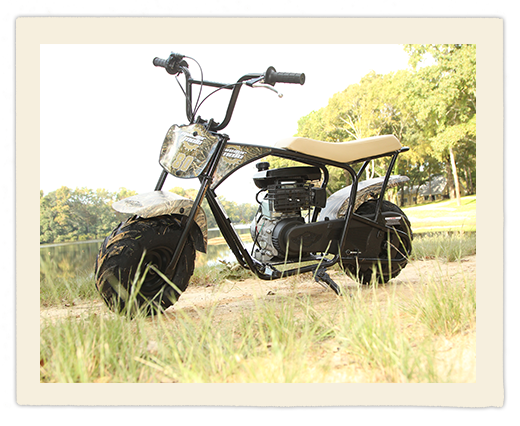 Just attach the handlebars, add gas, and ride !